- LED Lights Midway Down the Candle! 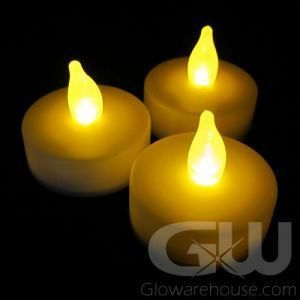 - Real Wax & Flickering Lights look & feel real! 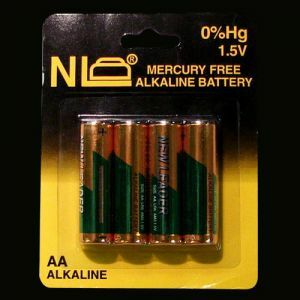 - Reusable with Replaceable batteries! - Receptions! Centerpieces! Special Events! 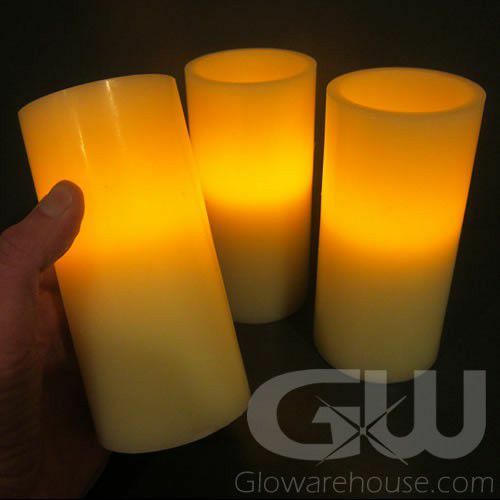 Get ready to party with our most popular size Flameless LED Candle - our famous 6 inch LED pillar! 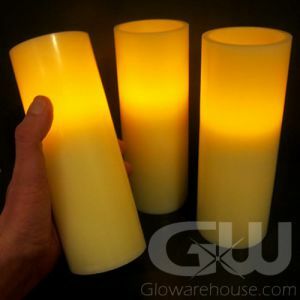 Glowarehouse.com has specially developed these candles with our manufacturer to create an LED pillar candle with a deeper LED inset, which makes for a bigger and more realistic glow effect than other similar safe flame candles of the same size and shape. 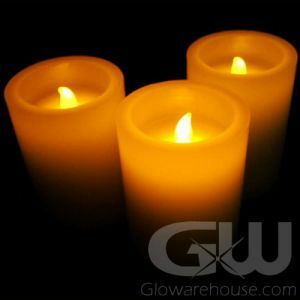 The No Flame 6" Candles are made with real paraffin wax, but use battery operated LED light to create a realistic flame and are a great alternative to a regular open flame candle! Because let's face it, there's a lot of places you either can't have or don't want regular candles. 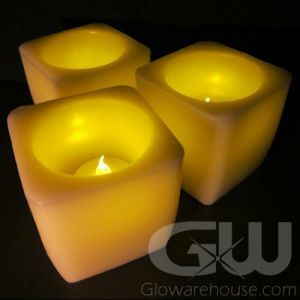 Simply insert two AA batteries, turn the unit on and watch the flickering glow of the amber light create a truly realistic looking flame that will fully illuminate the top half of the candle! 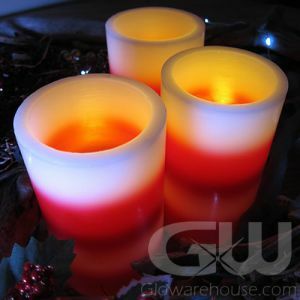 No one will be able to tell the difference between these flameless candles and the real thing! 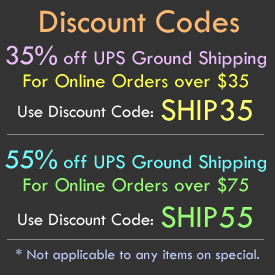 The 6 inch Flameless Candles are perfect for weddings, receptions, banquets and any other location or event that may not be suitable for regular open flame candles - like Christmas dinner at your place! 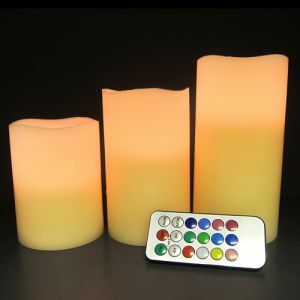 The flameless LED candles look great outside too - wind won't blow them out and there is no fire hazard! The six inch no flame pillar candles are powered by two replaceable AA batteries that will light the candle for 48 hours straight, allowing plenty of time for party set up and more importantly, actual partying!